The temperatures have been slowly rising and it's been so fantastic to get outside and enjoy some sunshine lately, sporadic though it may be! These April showers have been encouraging our garden beds, hedges and trees to sprout new life and blossoms but we have several planters on our newly stained patio that are noticeably bare. 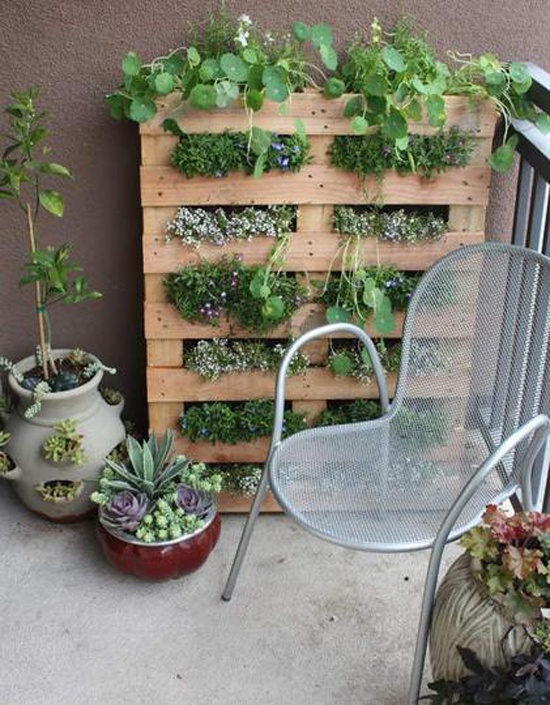 The raised vegetable boxes that we planted a couple of years ago don't get nearly enough sun in our lower yard so I've been on the lookout for easy and affordable ways to start growing herbs and maybe even some vegetables up on our deck. 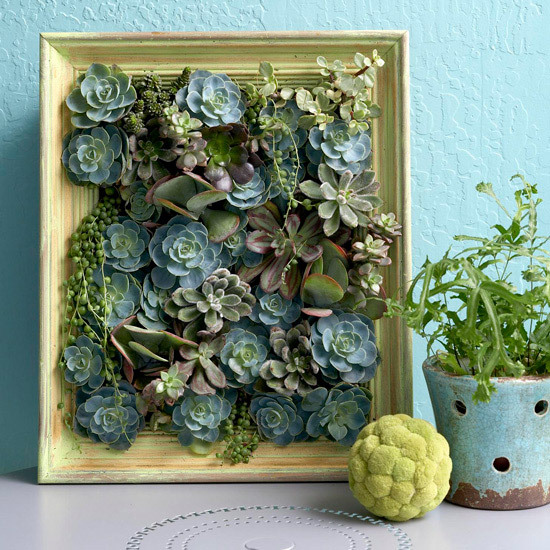 We've all seen the beautiful succulent frames and walls floating around out there but why not switch it up a little and plant lettuce and herbs on the vertical instead? Style At Home. Photo by Janis Nicolay. 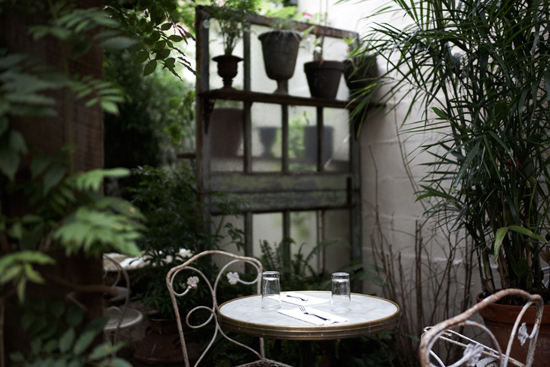 The Hunted Interior via Design*Sponge. 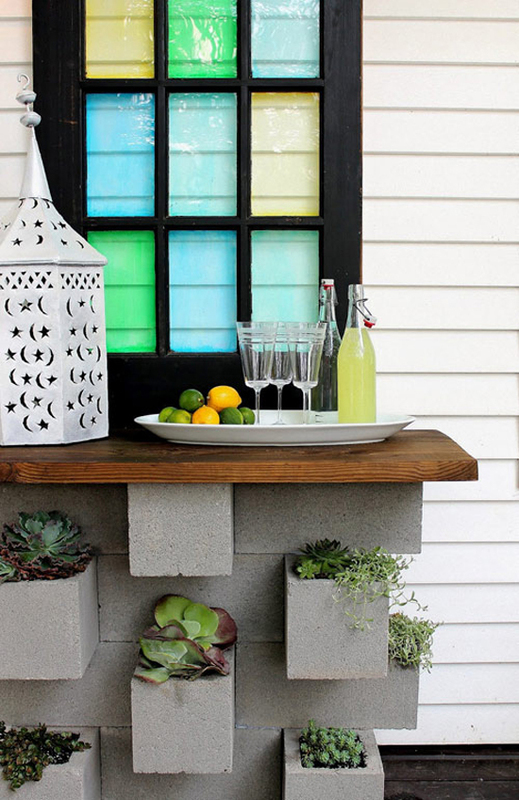 I love that most of these are DIY projects that could easily be accomplished over a weekend and they're perfect for smaller urban patios as well. Not sure what to plant? I love lavender for its scent and purple flowers...it also acts as a natural mosquito repellent, which is a bonus! 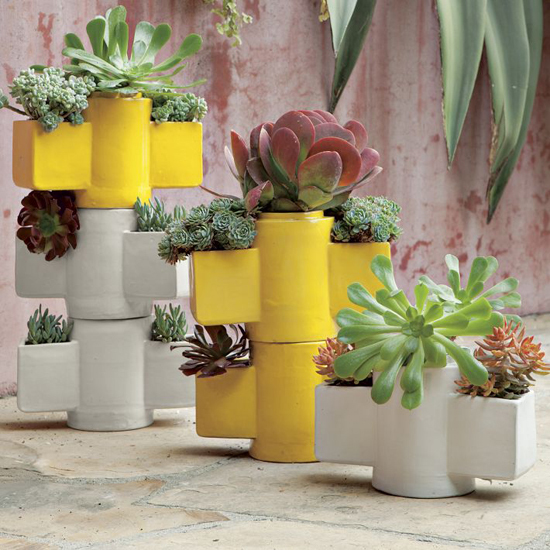 Check out this Country Home Top 10 list for more great container options whether you've got a shady spot, full sun or something in between. Lily co-writes with Rachel over at Birch + Bird. Together they organize local handmade + vintage markets and run a small Etsy shop. Scout Vintage Market will take place May 25th-26th, 2012 in Abbotsford, BC. You can follow Birch + Bird on Facebook and Twitter. 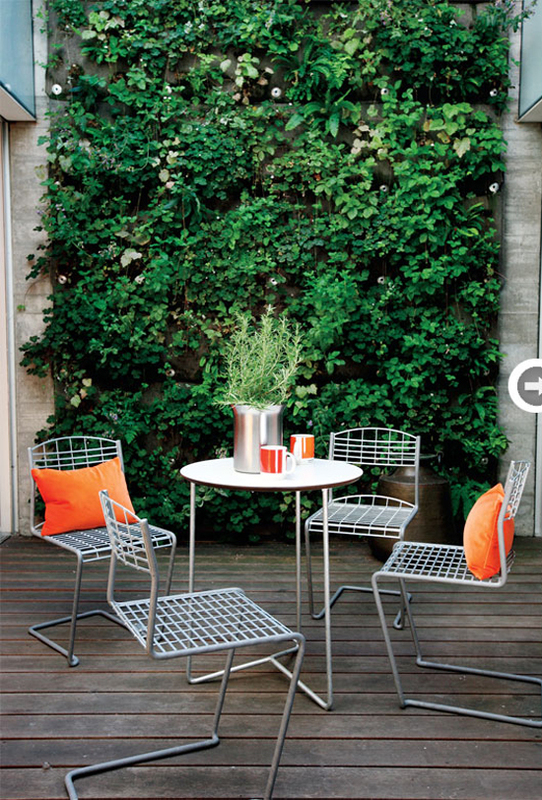 love the life on the balcony...i'm doing a mini makeover on my bedroom porch so this is great inspiration! Oh my God, they are all awesome ideas. I pinned the pictures. Have an awesome day. Aren't you Vancouver based? You forgot to mention the stunning plant walls at YVR! It leaves a great first impression of the city when you walk outside of the airport and see such a creative, beautiful and sustainable structure. Love them all...especially the first one! Do you know much about the treatment used for the wood on pallets? Are they safe for herb gardens? I haven't done much research on this, but I would guess if any wood preservative was used for this wood, growing food near it wasn't something anyone kept in mind when it was applied. 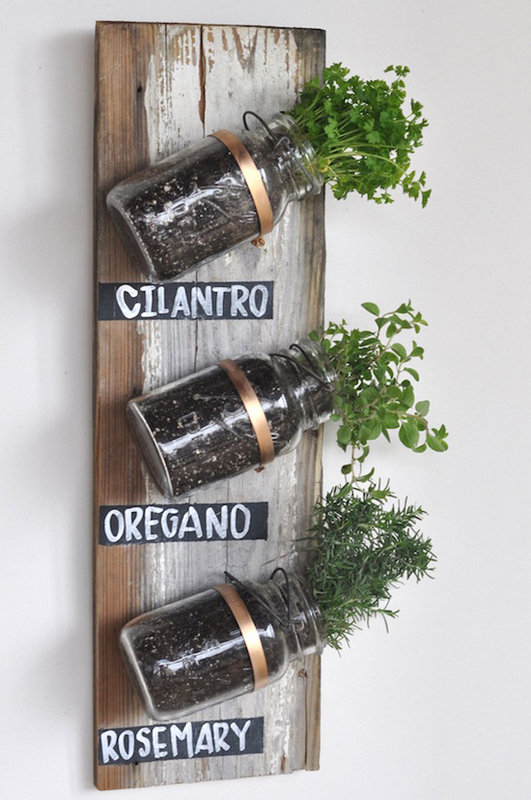 I love the herbs in jars!! Great blog.